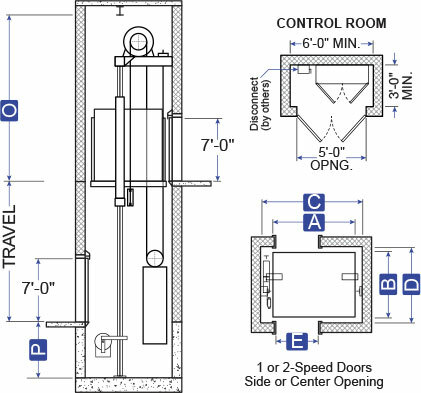 This design utilizes a gearless machine, ropes and counterweights instead of hydraulic equipment. The main guide rails are mounted on each side of the car and an additional pair of counterweight rails are located on one side. 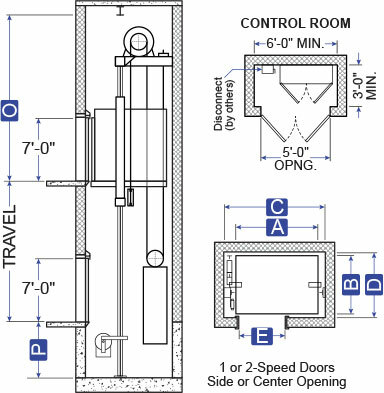 The gearless machine, along with the related drive equipment is all installed inside the hoistway eliminating the need for a machine room saving you valuable floor space.